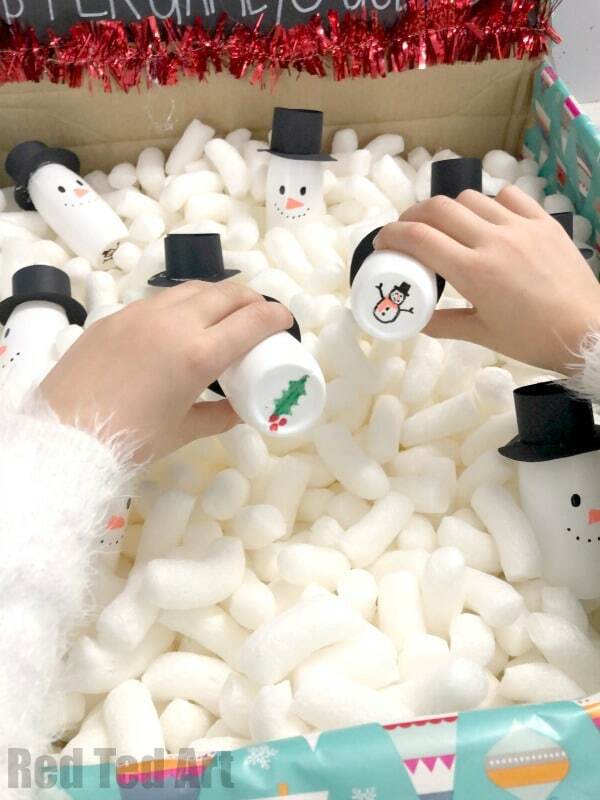 This DIY Snowman Snap Game is great for both the Christmas Season and Winter… the game was created by one of our school mums for our Christmas School Fair and it was a HUGE hit with the kids. 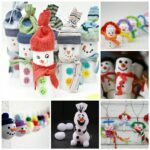 You can play it in two ways.. as a game of luck – aka the DIY Snowman SNAP Game or as a game of skill – aka the DIY Snowman MEMORY Game. 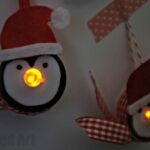 It is a great little upcycled project too… and so much fun! Thank you to the school mum for letting me share this project here today! 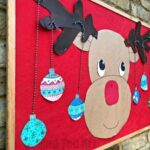 This Christmas Party Game would be great for any Christmas school fair, Christmas Church fair, Christmas class room party or simply at home!!! Peel all the labels off the white actimel bottles. 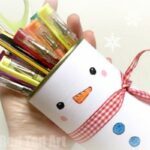 Draw on a snowman face. 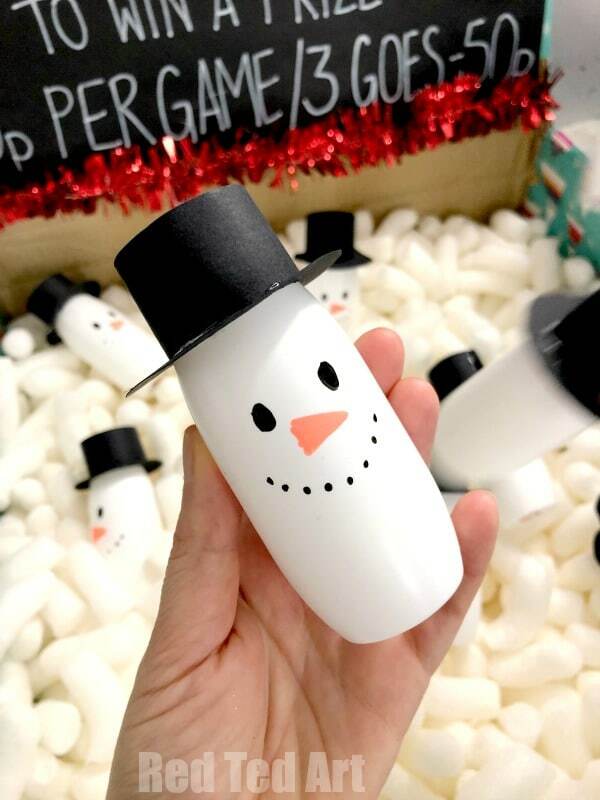 Draw on a symbol on the bottom of your snowman – e.g. 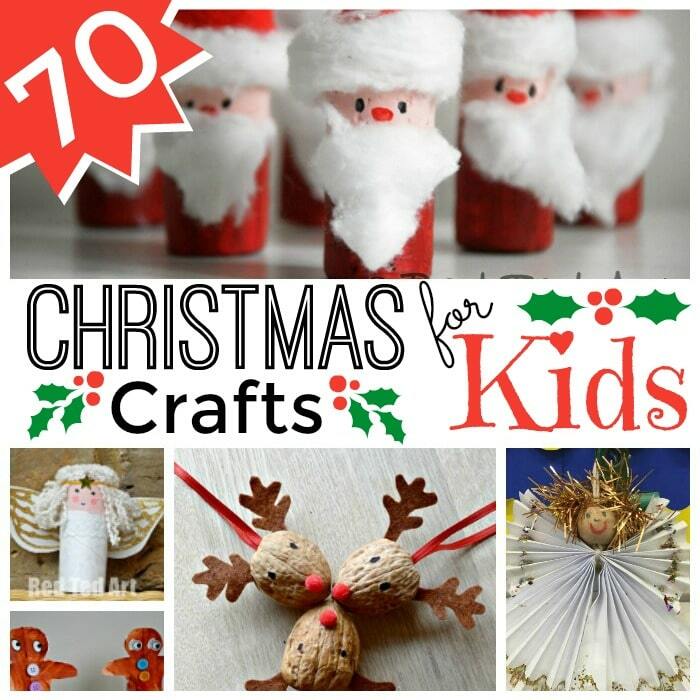 a Holly Leaf, a Christmas Pudding, a Gift, a Christmas tree etc. Make sure you have two snowmen with the same symbol. Make simple paper hats by cutting a disc of black paper to pop over the snoman’s head and a strip of black paper for the remaining hat. 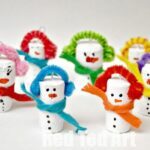 Alternatively, you can use odd socks, like we did for our TP Roll Snowman Craft. 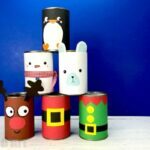 How to playe snowman snap – christmas party game. There are two ways to play this party game, depending on your objective (raising funds vs a little fun). The first way, is a very simple game of “luck”… the kids have to pick two snowmen and see if the bottoms of the snowmen match. If they match you win a prize. 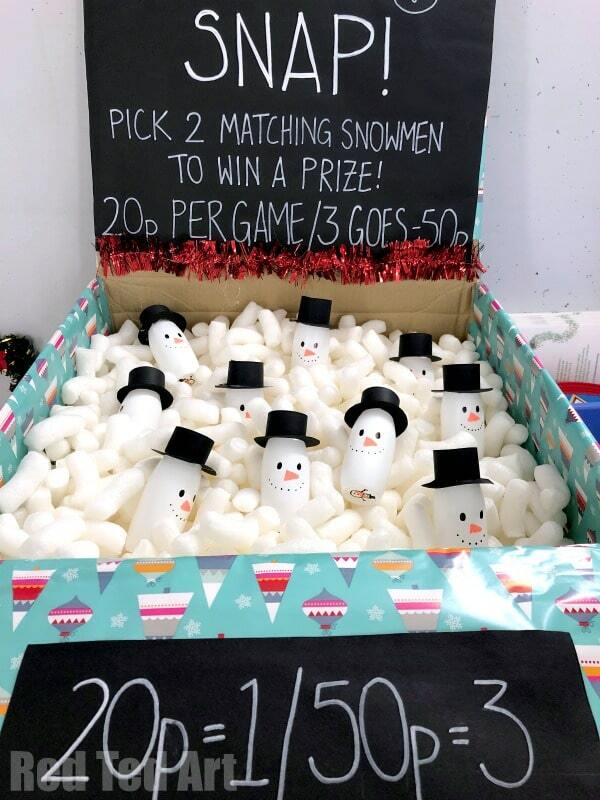 Mix the snowmen up and have another go. 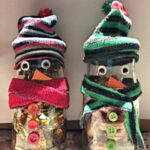 The second way is to make it into a snowman memory game. This is best if there are no prizes or you don’t mind how often kids win. Basically, the kids get to have 3 goes of picking two snowmen and again, they try and match two up. This time it isn’t just a game of chance, but also a memory game. 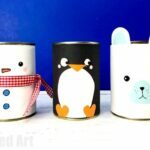 Hope you enjoyed this adorable little Christmas Party Game idea!! More coming soon!